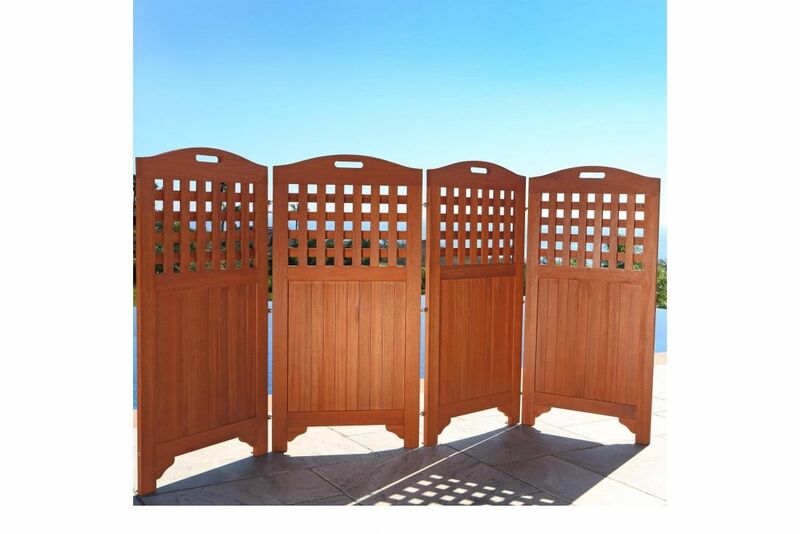 Outdoor Patio Wood Privacy Screen helps you hide unsightly items, create a private area or separate your area from others. Four panels with quality hinges adjust to lines, corners, and angles. comes in the beautiful Natural Wood Finish, this will be an elegant and convenient accessory for the patio!